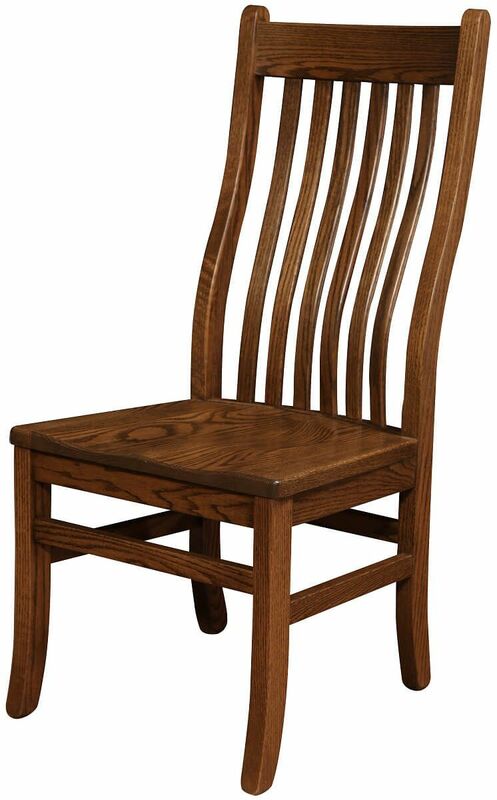 Shaker legs are a lovely departure from traditional Mission in our Los Gatos Mission Dining Chair which features a steam bent back lumbar support. If you are searching for an attractive Mission dining chair, consider the Los Gatos Mission Dining Chair from Countryside. 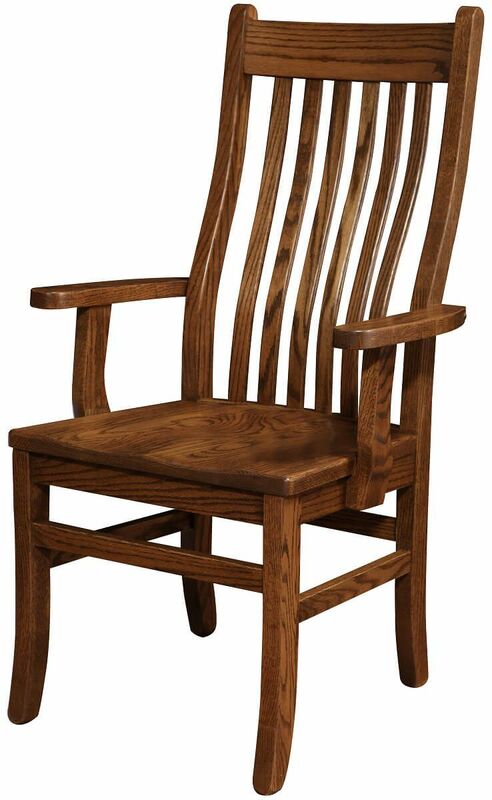 We use only the finest solid woods to handcraft each chair from start to finish. 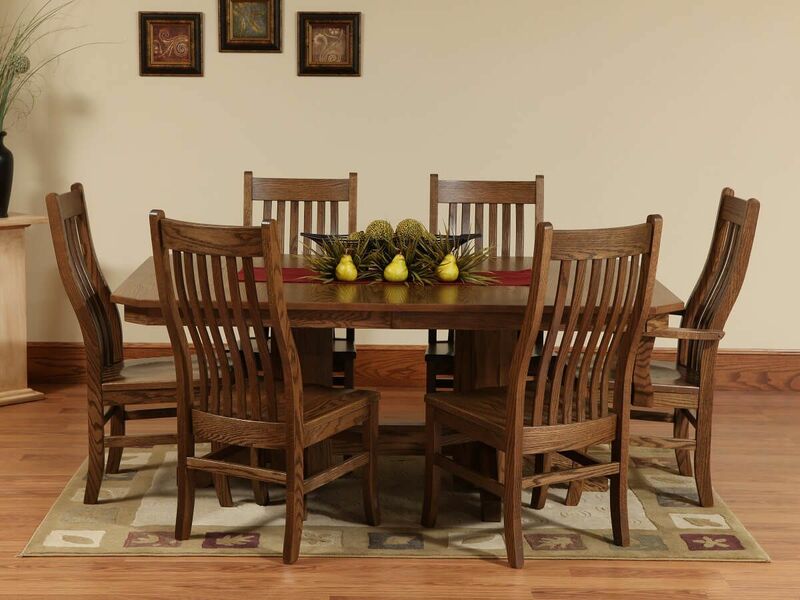 These solid chairs are available with or without arms and work with any standard dining table. Choose you favorite stain and finish, and don't forget to browse through the fine leather and fabric samples for a custom seat for your Los Gatos Mission Dining Chair. To order as pictured, consider Oak with a Spring Twig wood finish.